Echo Fox remain at the top of the NA LCS standings. 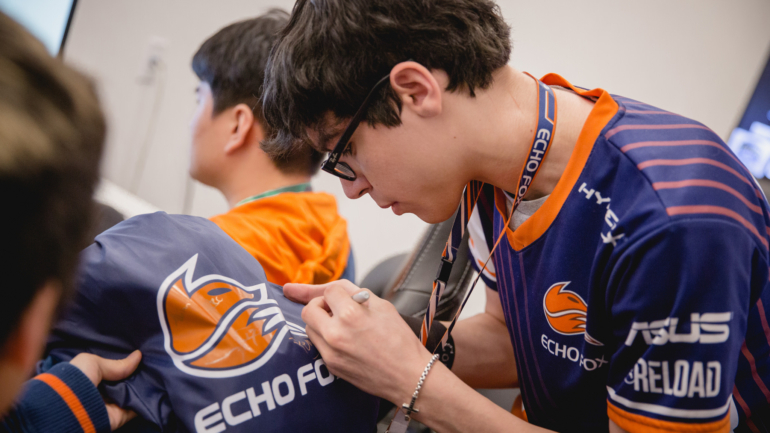 Echo Fox completed their third 2-0 weekend in the North American League of Legends Championship Series with a victory against Team Liquid earlier today. If there’s one thing NA LCS teams should know before their match against Echo Fox, it’s not to give jungler Joshua “Dardoch” Hartnett the champion Zac. Fearless in his elastic slingshots onto the opposing team, Dardoch becomes the predator to all immobile ADCs when he’s on Zac. Team Liquid ADC Yiliang “Doublelift” Peng, who was on the epitome of immobile ADCs in Kog’Maw, was no exception to this. Although he may not have died to Dardoch’s engages, Doublelift repeatedly gave up his summoner spells instead of his life. His lack of summoner spells, however, forced Doublelift to become less of a factor in teamfights since he had to fight from a far distance to avoid being jumped onto again. As the game progressed, though, Doublelift’s Kog’Maw inevitably scaled to the point in which it could shred through Echo Fox’s frontline. But Team Liquid couldn’t consistently get into a position for Doublelift to freely auto attack. Before Team Liquid could even attempt a standard teamfight, Dardoch had already caught someone out, which caused Team Liquid to spread out and leave Doublelift defenseless. Tonight’s victory marks Dardoch’s fifth Zac win of the season, as he remains undefeated when equipped with the green jungler. Now tied for first place with Cloud9, Echo Fox’s next challenge will come on Feb. 17, when they play against 100 Thieves.